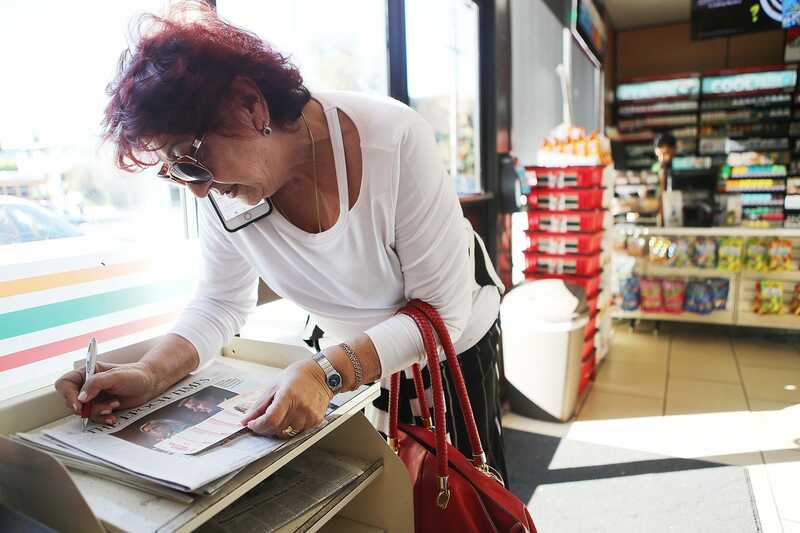 Justin Sullivan/Getty ImagesA customer holds 2016 Powerball tickets. 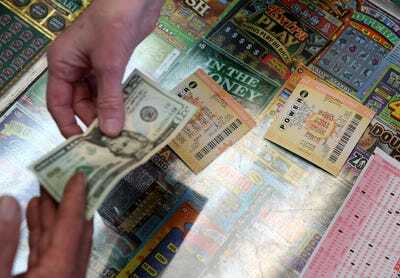 The $US750 million Powerball jackpot is the fourth largest prize in US history. After no winners were declared on Saturday, a second drawing will be held Wednesday. Players are more likely to get killed by fireworks than win the prize, but that hasn’t stopped people from purchasing tickets. Business Insider talked to psychologists to learn why people think they have a shot at winning, despite the near-impossible odds. The Powerball jackpot continues to climb higher after no winners were declared in the most recent drawing. That puts the pot at a whopping $US750 million, the fourth largest in US history. 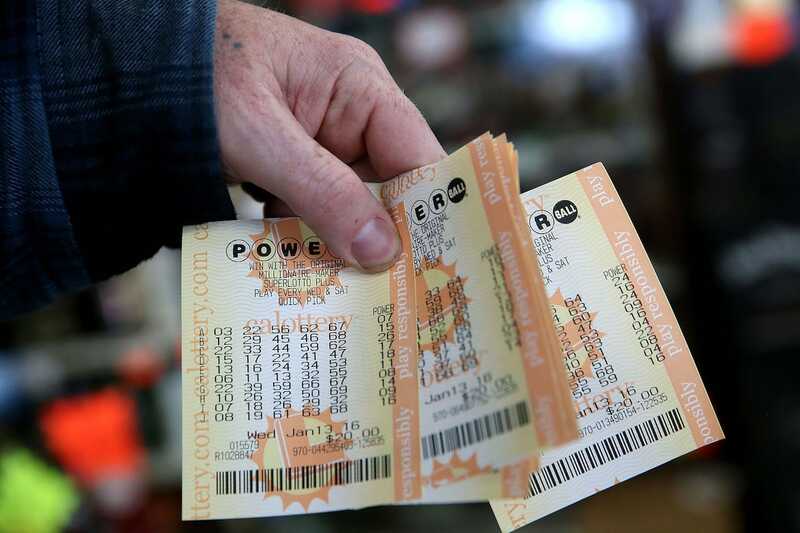 Those who enter have about a 1 in 292 million chance of taking home the prize. While it may seem silly to think that we could actually win the lottery, Americans are quite fond of throwing their hat in the ring. According to CNN, the country spent around $US73.5 billion on traditional lottery tickets in 2017 – a number that climbs to $US80 billion when we consider electronic lottery games. It’s not just that we’re curious. Many of us actually think we have a shot. Here are a few psychological explanations as to why. We’d rather bet on a good risk than prepare for a bad one. 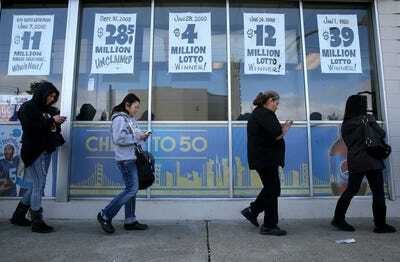 Mario Tama/Getty ImagesA woman enters the Mega Millions jackpot in Los Angeles. When it comes to gambling, humans tend to be more optimistic than practical. We’re more inclined to take a risk if there are high earnings involved, Hans Breiter, a professor of psychiatry and behavioural science at Northwestern, said in a statement to Business Insider. The lower the odds, the more important it seems. “There’s something intrinsically appealing about not being sure [about the odds],”Mike Robinson, an assistant professor of neuroscience and behaviour at Wesleyan, told Business Insider. Even when we lose, we think we’re “just short” of winning. Justin Sullivan/Getty ImagesPeople line up to buy 2016 Powerball tickets in San Lorenzo, California. Let’s say you didn’t win the lottery, but you got half the numbers right. Does that mean you’re any closer to winning the next time? Not at all. According to economists, past results have no influence on future outcomes. Those who fall prey to the “gambler’s fallacy” that they’re due for a win sometime soon could wind up losing a lot of money. We’ve already adjusted our expectations. Justin Sullivan/Getty ImagesA customer buys Powerball tickets at Kavanagh Liquors, a store that has had several winners. Many people who enter the lottery already recognise that their odds are slim. In fact, that may be the reason why they enter in the first place. Mark Reinecke, the chief of psychology at Northwestern, told Business Insider in a statement that people tend to be more frustrated when their expectations are disrupted, like when there’s an uncharacteristically long line at the 7-11. When we gamble, many of us tend to assume we have control over the outcome – a phenomenon that’s particularly acute among pathological gamblers. With the right strategy, people tell themselves, they can game the system and win big. But psychologists say that this feeling is an illusion. While there may be small things we can do to increase our odds, the lottery is ultimately random. At a certain point, we can’t conceive of the odds. When the odds are as slim as 1 in 292 million, it’s hard to picture what those chances would even look like. That’s because our brains haven’t evolved enough to distinguish between 1 in 292 million and a much higher probability like 1 in 100,000. “As soon as we get into the millions, no one knows how to mentally visualise that,” Robinson said. We focus on the winners, not the losers. We’re also heavily influenced by news stories of other people striking it rich – so much so that we tend to remember the few winners of the lottery ahead of the millions of losers. It’s a function of what’s called the “availability bias,” which causes us to overestimate our odds based on previous examples. To help put things into perspective, you’re more likely to get killed by fireworks than you are to win the Powerball’s $US750 million prize. Then again, you may be able to hack the system.